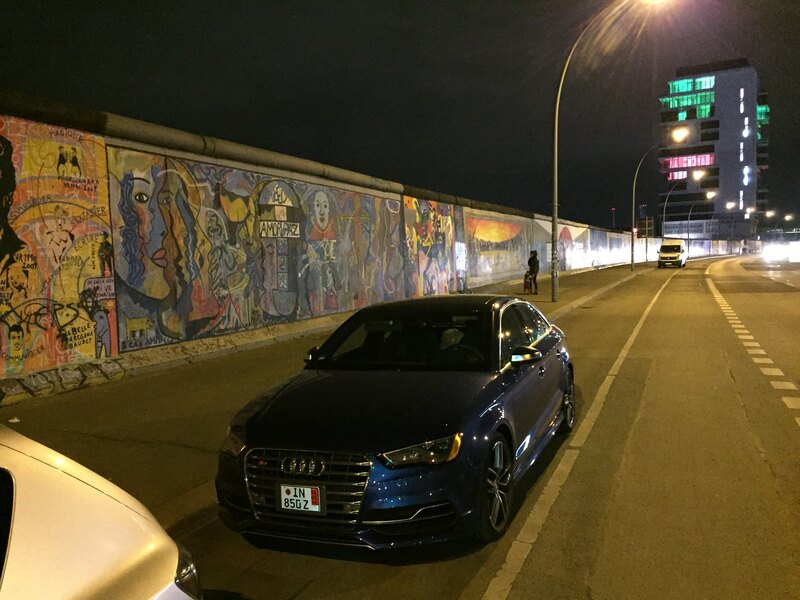 If you are in the US, in the market for an S3 or any Audi for that matter, and have some time and patience before the purchase and delivery, I implore you to consider the European Delivery (ED) option. My decision to purchase the S3 occurred back in September 2014 immediately after my first test drive. 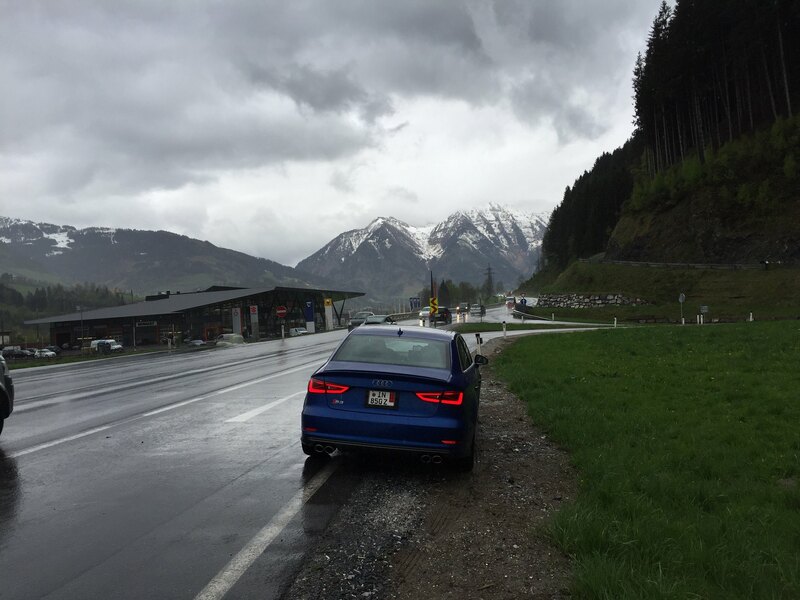 That was followed by copious amounts of planning and I picked up my car from Ingolstadt Germany on April 21st 2015. The experience of ED coupled with my 10th year wedding anniversary celebration can be summed up as the single best family vacation of our lives. We completed all the necessary title/registration and ED paperwork at least 45 days before our desired pick-up date. We had also indicated the duration of our stay in Europe (10), the target car drop off date and location. 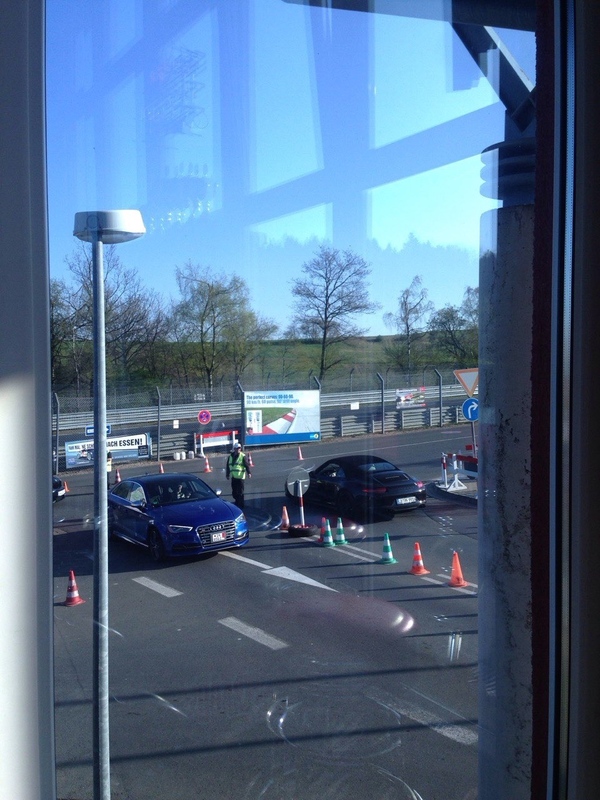 We arrived in Munich (closest major airport to Ingolstadt) early morning on April 20th and checked into the Airport Hilton the lodging which was paid by Audi (breakfast included). 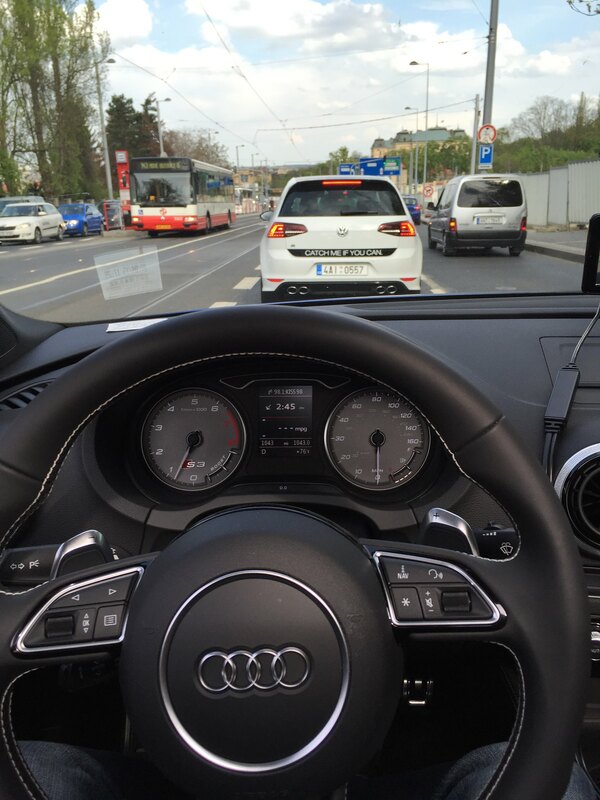 We spent the whole day in Munich and on the following morning of the 21st, Audi shuttled us to Ingolstadt. 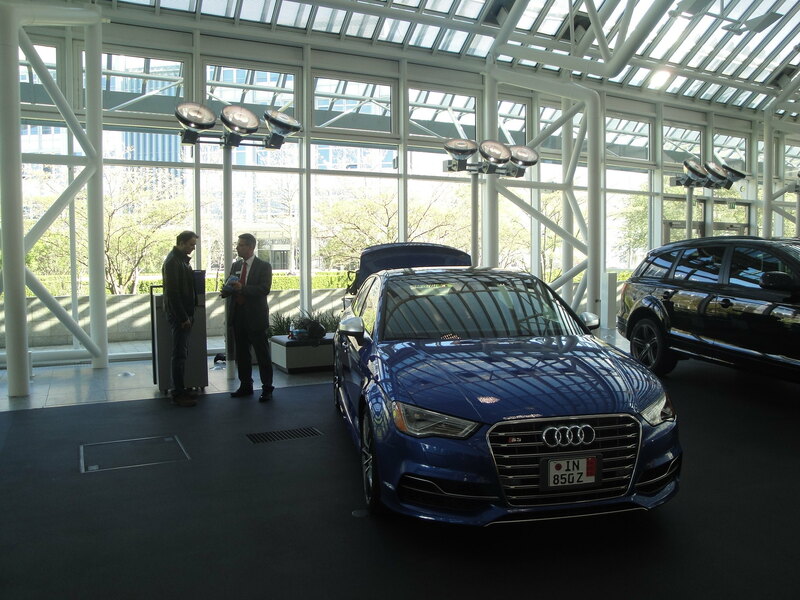 We arrived around 10:00am and after preliminary introductions from Audi’s “Wilkommen” staff, we were taken across the atrium bridge to our parked Sepang Blue Prestige S3. This was the moment to savor and boy did I soak in every detail. I took a slow walk around the car trailing my index finger on the sheer bodywork. The aggressive jowls, the muscular stance and the Sepang blue under the floodlights were repeated reminders that this was my absolute best automotive purchase decision to date. 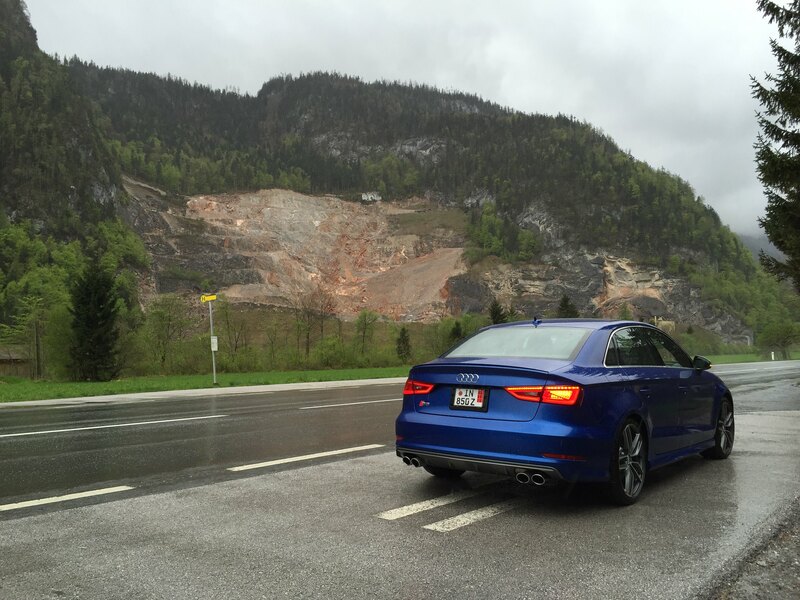 My lap in the Nordschleif, twisty back roads in Austria and 145mph on the autobahn would remind me once again why 300 bhp with precise handling matters, but more on that later. The Audi rep went over the specs of the car with emphasis on the dos and don’ts of driving in Germany and after 45 minutes, I drove the car out of the atrium into the car park area outside. A temporary GPS (since the MMI unit is programmed for US only) and media cable for the iphone was provided to be returned with the car at drop-off. Two additional heads up were given. First, do not exceed 3500 rpm during the first 1000 miles. Second, if you do cross borders into other countries, make sure you buy the entry sticker (about 10 euros) from the petrol station at the border else a fine will ensue. Now even though a brand new Audi would roll out of the atrium into the parking lot every 10 minutes or so, the attention that my S3 got was quite remarkable. It stood out amidst the sea of blacks, whites and greys and seemed to draw the most amount of attention despite a pair of R8s parked just a few yards away. This followed by an incredible factory tour at 11:30am where we witnessed A3s being assembled/built from wheels up. Photography of any kind is not allowed in the factory yet the memory of how such a complex machine is put together will never fade. The sheer discipline, inspiration, dedication and commitment to the technological and aesthetic excellence reminded me why I chose Audi over any other brand. The dance of the robotic arms, the conveyor belts moving S3 parts overhead, all the way to the final marriage of the body and the chassis was simply awe-inspiring. It also reminded me that this is quite possibly the location where the Terminator would be born. Breakfast, lunch and supper are all provided free of cost to all members in your group and we wholeheartedly took advantage of that. The factory tour lasted 2 hours after which we had lunch and then visited the Audi museum which definitely warrants another hour. Tour guides are available but we decided to go at our own pace. 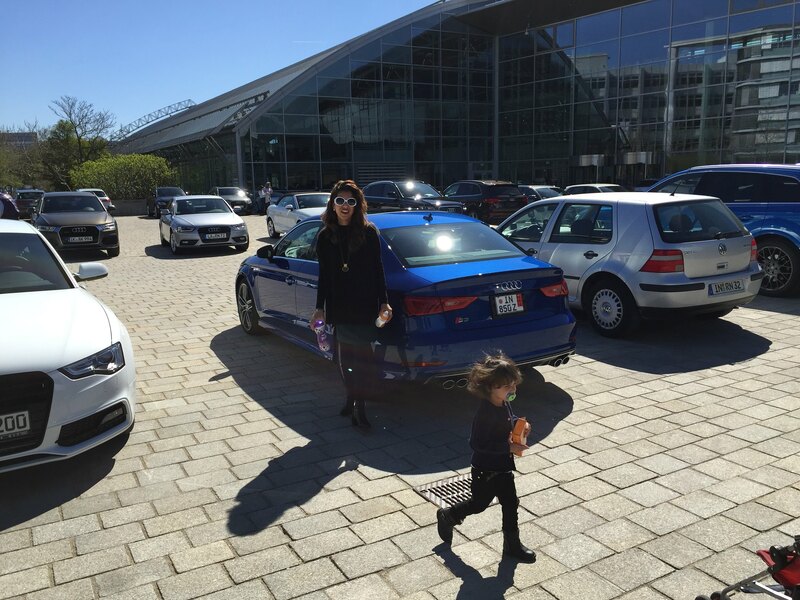 Around 4:30 pm, we packed our three suitcases, stroller, odds and ends and drove out of the Audi Forum into the unknown. Here on forth, your experience will be different from ours. 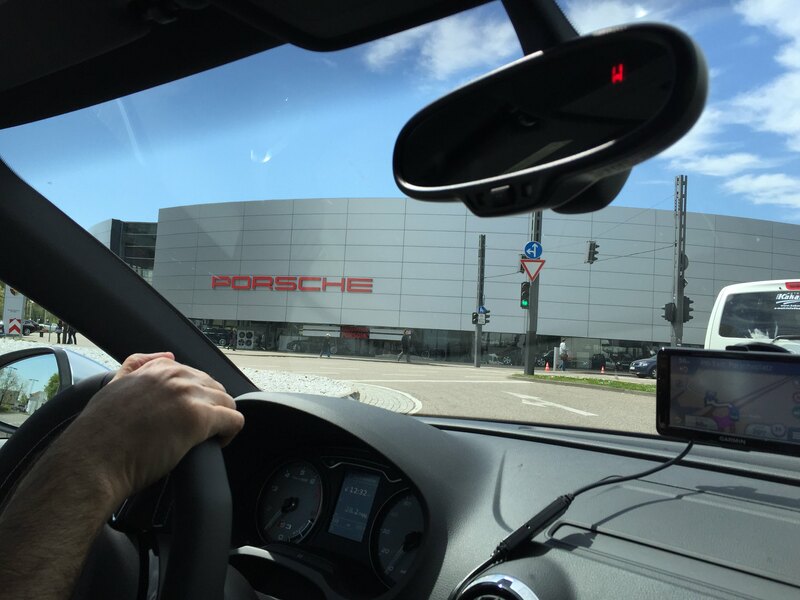 We went from Ingosltadt and headed west into Stuttgart, Nurburg, and then north-east into Berlin. That was followed by a drive south into Prague, then Salzburg and finally back to Munich to drop off the car. 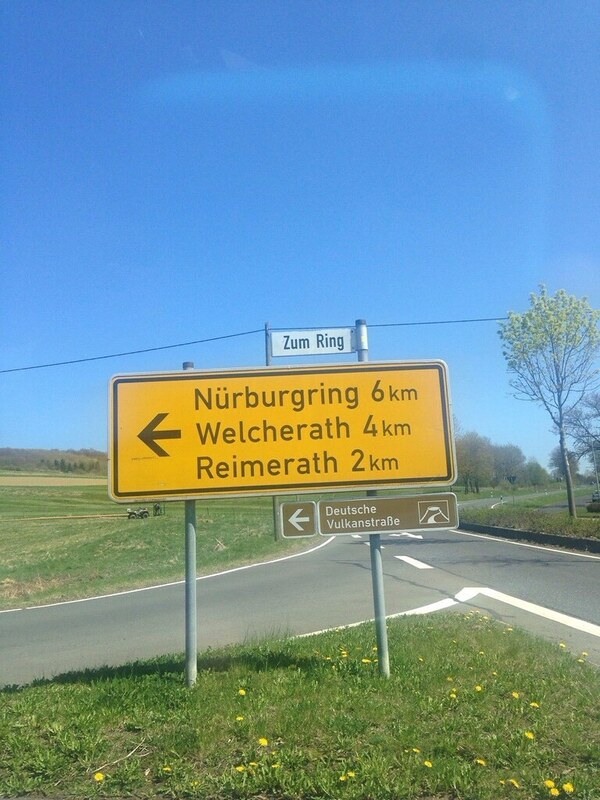 10 days, 1500 miles, some lovely twisty mountainous back roads, speed derestricted Autobahn blasts capped off with a lap of gods own race track – the Nurburgring Nordschleife. 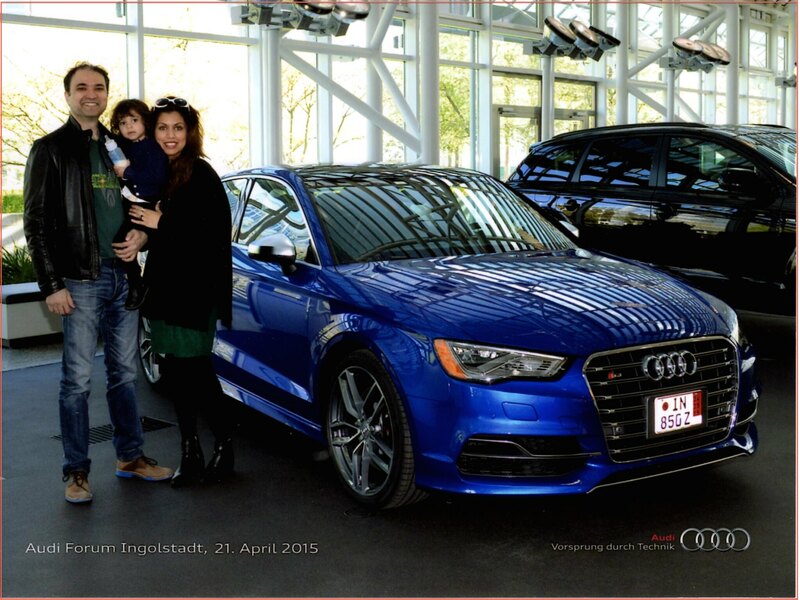 Each day was an exciting adventure into a new experience and as I got to know the S3, I drove with increased confidence. Coincidently, as the thousandth mile ticked over I approached a 5 km straight stretch on the A13. I was already at 95 so I took a deep breath, dropped the shifter into S and opened floodgates. The reassuring prod in the back was complimented by a deep growl from the engine and my speedo rocketed past 100, then 110, 120 and finally at 145 I took my foot off the throttle. The danger threshold I felt was passed at 140, as at that speed overtaking a car caused minor wind buffeting. Furthermore the concentration required to keep the car at that speed was quite disconcerting so I backed off and nonetheless drove steady at 110 where mechanically the S3 could have sat all day. We drove through sleepy little villages and my most memorable drives were from Stuttgart to Cochem (highly recommend) and from Salzburg (Austria) deep into the Alps to Zell am See (pics attached). 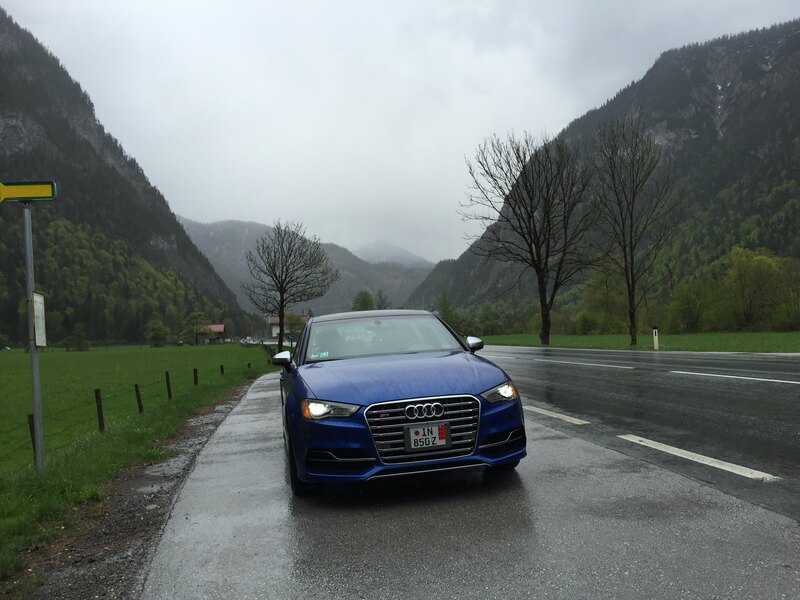 Our GPS seemed to have been programmed by a driving nut as we spent a balanced amount of time between the autobahn and gorgeous twisty hilly back roads of the Bavarian Alps. We occasionally drove late into the night and wilderness and often pondered on the safety of our surroundings only to discover the next morning that the GPS had guided us to a lovely B&B that overlooked a valley. What surprised me was that I did not miss the manual shifter, not one bit. Me, who prior to this S3 DSG had only ever driven manuals and perpetually made fun that only old people drove powerful cars with auto-boxes. Yet the feel of road through both hands on the wheel coupled with lightening up and down shifts as I negotiated spaghetti bends on the mountain side was transcendent. This DSG is magic and I am a convert. The SS seats were simply stellar. Even my wife remarked on many an occasion as I pushed into the 6th hour of a drive one particular day that the lateral and lumbar support was top notch. 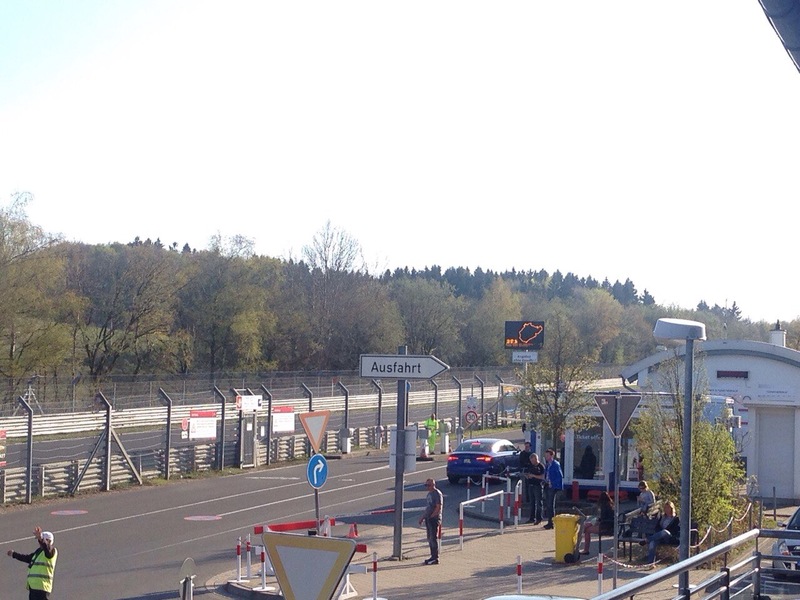 The Nurburgring itself was a treat beyond all measure. Audi was not sure if the free two week insurance they provided would cover any damage on the track but I took my chance. 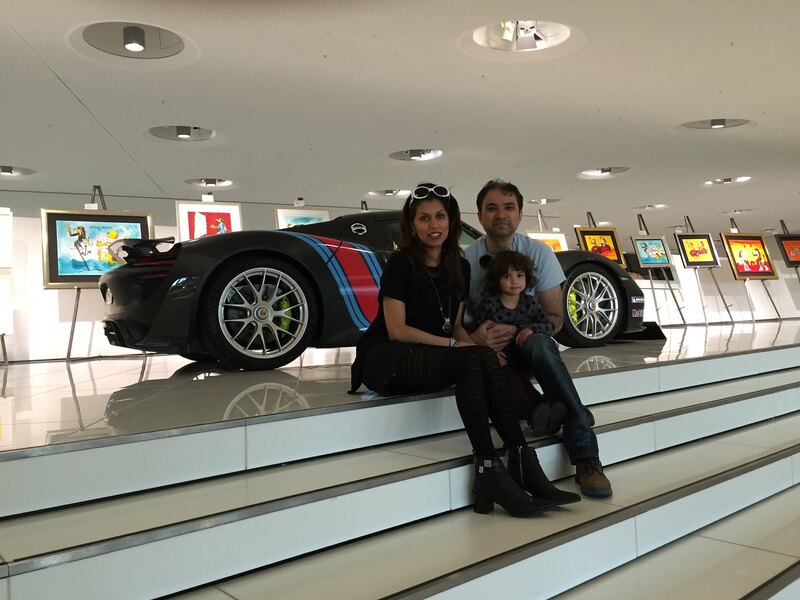 I admit I drove like a complete wuss and was never in any danger of beating the Porsche 918’s lap time of 6:57. I also never really did manage to overtake a single car either. But the experience of it, oh my lord the experience. Delicious dips, crests, straights, hairpins and corners coupled with the backdrop views all in 12 minute 35 seconds will remain etched in my mind and the iphone 6 camera for me to brag to my next generation for years to come. I could prattle on endlessly but feel I have done so quite enough. 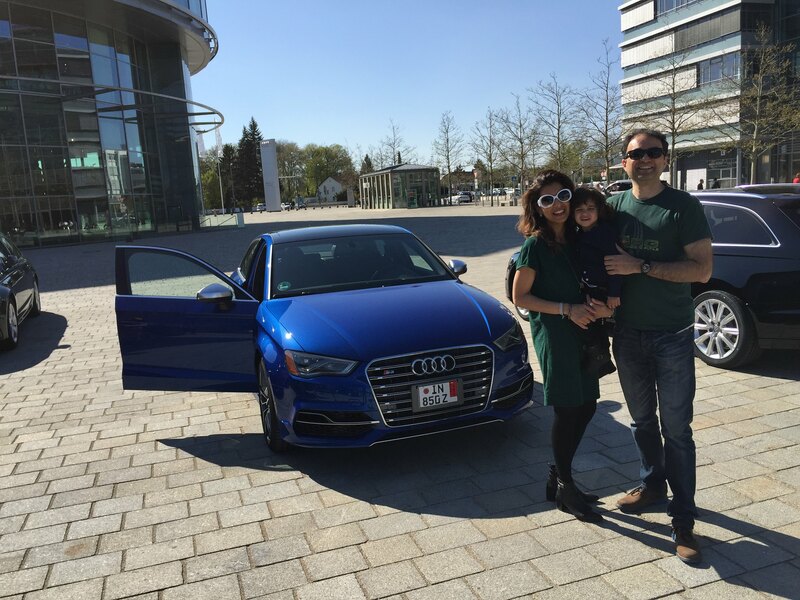 We dropped the S3 off on the morning of the 29th back at Munich airport. 30 minutes later with the handover paperwork complete, we walked towards the check-in counter. The estimated delivery time back to US is 8-11 weeks but since I live in NYC, I can expect in in 4-5. For US driving enthusiasts if you have the time and the means I strongly encourage you to experience ED at least once. The experience of it and the memories you will build will forever remain and you will return with a different perspective. 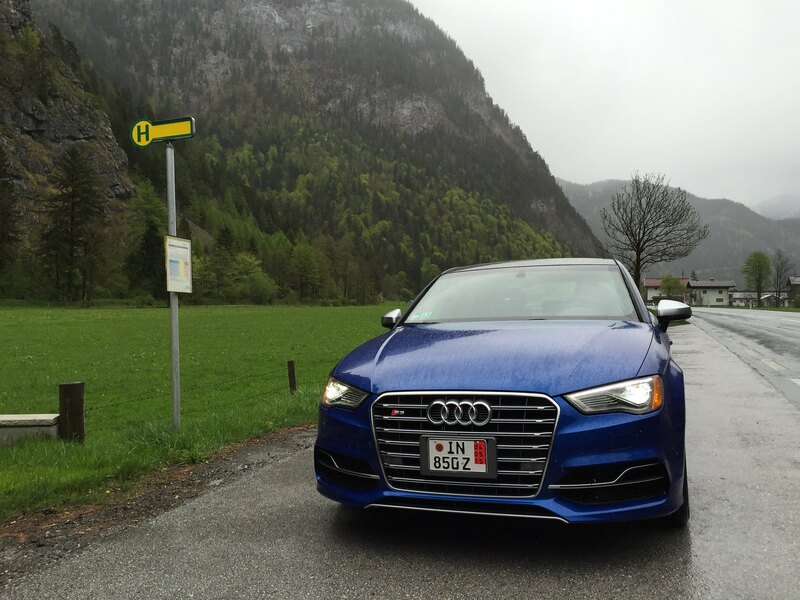 And as a driving enthusiast, what better roads to drive on than the ones the S3 was well and truly built for? Short description of where pics was taken would be a nice. Did you wife drive car during ED? For some reason my wife was afraid to drive in Europe and after ED she was regretting that. Any issue with navigation unit? My wife didn't drive either. It surprised me as well but her rationale was that since I loved my car so much, she was afraid she would damage it somehow. Nav worked very smoothly except just across the border into Prague where it went into a tizzy. Ill upload more pics shortly. Congrats on the new car. 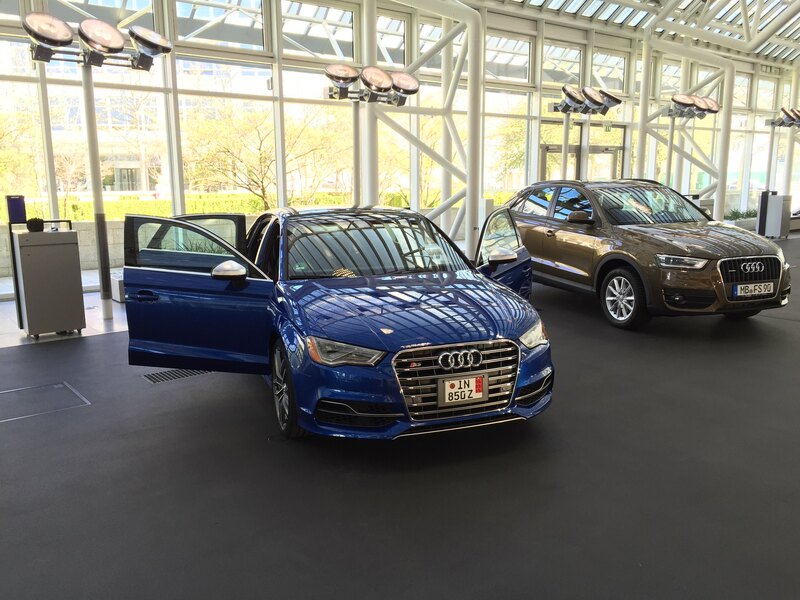 Your experience was very similar to our delivery of the wife's new S4 last October. The actual shipment took just a month to Ohio. Love to see more pics. 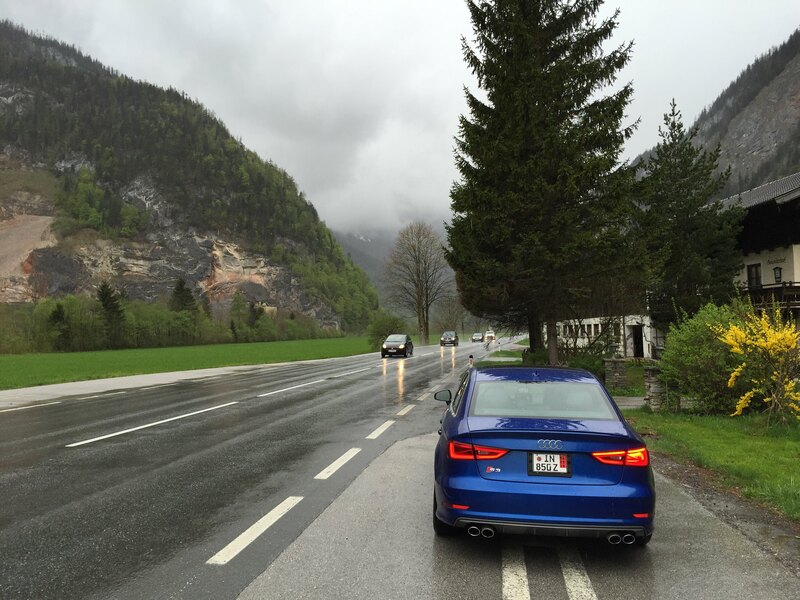 Our trip was the reverse of yours with ending in Salzburg and traveling through Zell am See and Landau. Where is the location of the pic above with the S3 in the parking lot in front of a Hotel (or Restaurant)? That was our favorite B&B Villa Vinum in Cochem. Theo was the owner manager and was amazing. The hotel was right on the river and the town itself was very chic. The Audi Rep going over the dos and donut's. Porsche Museum parking lot - even in the garage, this car stands out. The ultimate set of wheels. 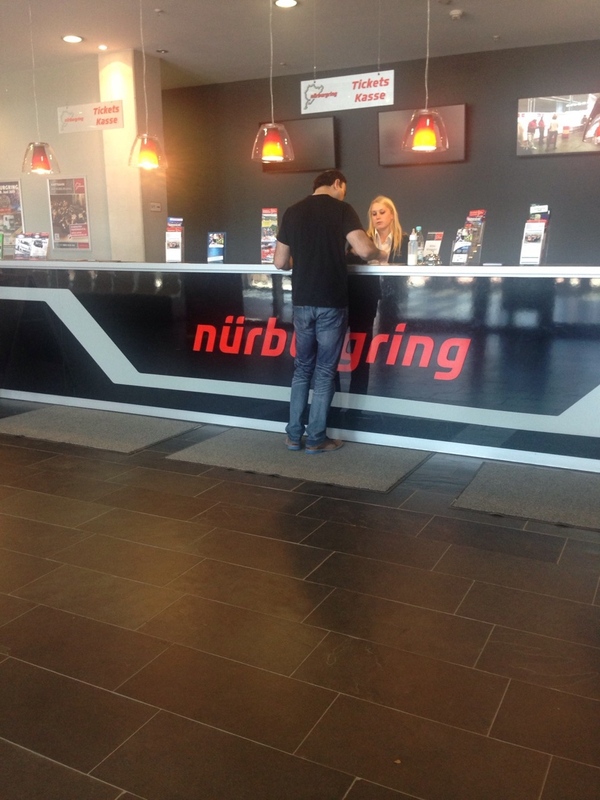 Buying the lap for the Nurburgring. Only the credit card required. No forms, no legal waivers and no fear. Ah rubbish on the last part. I was petrified. Aggressive stance - I love it. Into the snow capped peaks. I couldn't figure a way to edit the original post so i have added a new one with descriptions of the pics. The point when you are first introduced to the car in the atrium. 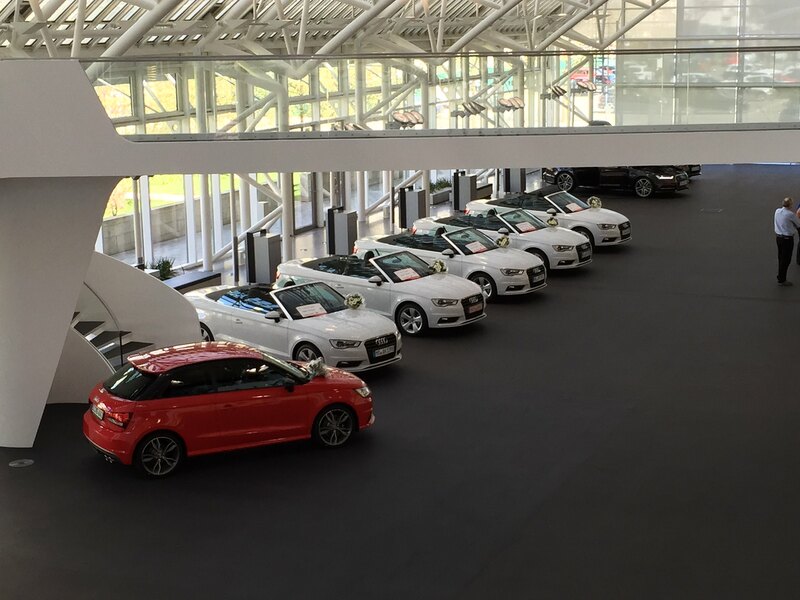 Audi takes a snapshot moment for the ages. After you drive the car outside of the atrium. The 'garage door' in the background is the exit point of the atrium. I couldn't figure this one out and no one else knew. My guess it was for a wedding but who cared. It was quite a gathering. Our favorite hotel without a doubt - Villa Vinum. 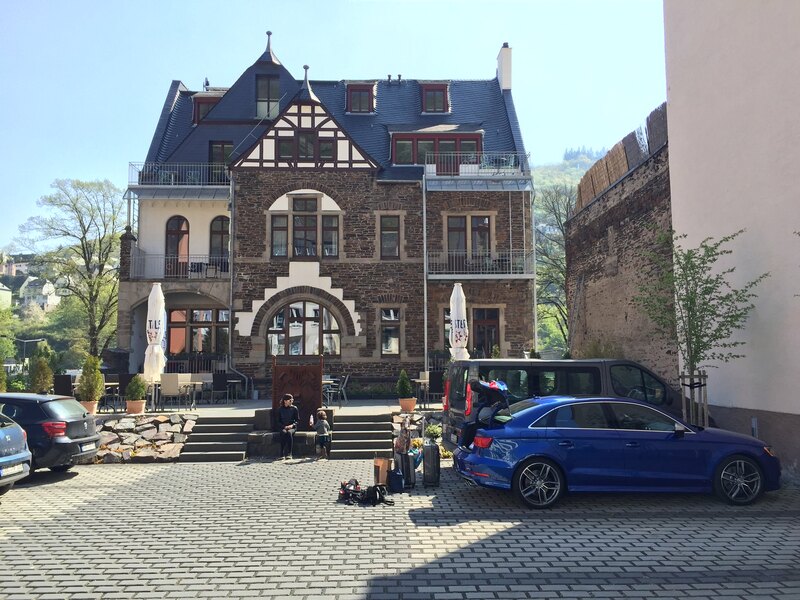 This lovely B&B right on the river was in Cochem run by its most hospitable owner Theo. 6 clicks from the 'ring! About to enter the ring. You pay 27 euros and are next in line. Choose a weekday, preferably one that is open to public else you will run into a lot of traffic. Prague - after catching up with a close auto family member. Still on the way to Zell am See. I'm planning my second ED for July/August. Can't wait. For long long long time we was waiting for same action on this forum. Finally!! !